Which statement best expresses the point of view shown in this cartoon? (1) Cuba has made steady industrial progress in recent years. (2) The leader of Cuba favors violence to obtain results. (3) The revolution in Cuba has failed to help the economy. 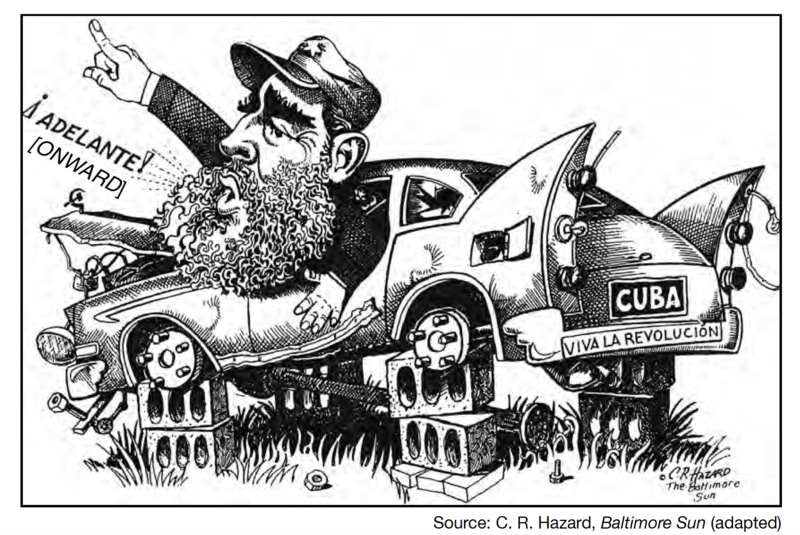 (4) The Cuban government is encouraging an increase in automobile sales. Which conclusion can best be drawn from this set of headlines? (1) Hydroelectric dams provide a solution to growing power demands. (2) Unchecked population growth strains worldwide food resources. (3) Famine-related deaths require further study. (4) Water scarcity is a major problem that needs to be solved.